The third and final temptation endured by Christ in the wilderness is when he is challenged by Satan to throw himself down from the highest pinnacle of the Temple in Jerusalem. 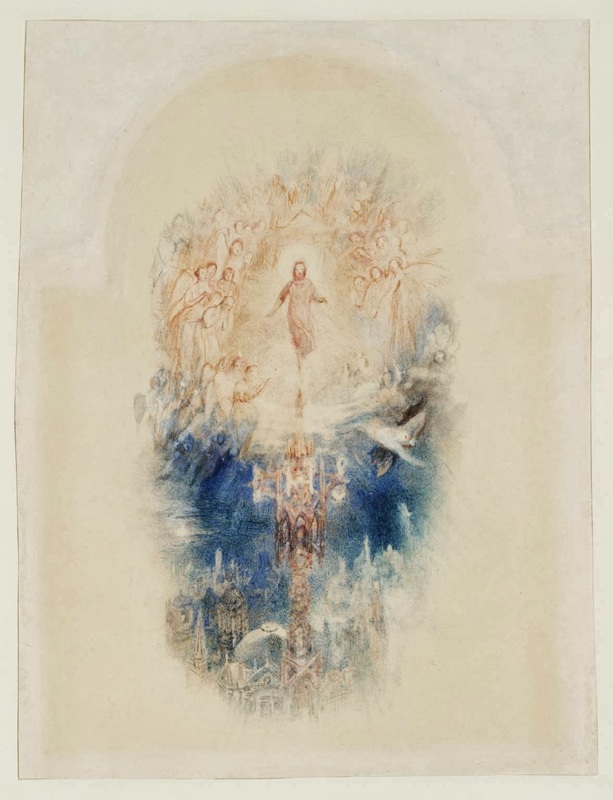 Turner depicts the moment of Christ's triumph over Satan who can be seen hurling himself away from the scene in anger and frustration. Tempt not the Lord thy God; he said and stood. Fell whence he stood to see his Victor fall. "Jesus knew that he was sent by the Father to establish God's kingdom in the world of humanity. On the one hand, for this purpose he accepted being tempted in order to take his proper place among sinners. He had already done this at the Jordan, in order to serve as a model for all (cf. St. Augustine, De Trinitate 4:13). But on the other hand, by virtue of the Holy Spirit's anointing, he reached into the very roots of sin and defeated the one who is the "father of lies" (Jn 8:44). Thus he willingly went to face the temptations at the start of his ministry, complying with the Holy Spirit's impulse (cf. St. Augustine, De Trinitate 13:13). One day when his mission was completed he would proclaim: "Now is the time of judgment on this world; now the ruler of this world will be driven out" (Jn 12:31). On the eve of his passion he would repeat once again: "The ruler of the world is coming; but he has no power over me" (Jn 14:30); rather, "the ruler of this world has been condemned" (Jn 16:33). The struggle against the "father of lies" who is the "ruler of this world," begun in the desert, will reach its climax on Golgotha. The victory will come about through the cross of the Redeemer."